It's Throwback Thursday, and we're back with another jam from back in the day! It's crazy to believe that Saturday will mark five years since the legendary Whitney Houston passed away. Through all the ups and downs and even after her tragic passing, Whitney is still treasured in music and will forever be. Her voice was one of a kind! 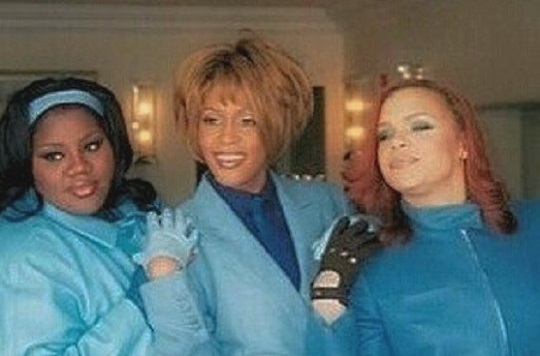 One of my favorite hits from the singer was "Heartbreak Hotel" with Faith Evans and Kelly Price. Lyrically, it's a song of hurt and sadness, but musically, this joint is a BOP! And these talented three worked well as a trio on this song. When it comes on, I still sing and dance my heart out like I'm going through it myself...definitely a classic.